Planning Callie’s and Mike wedding reception was a true pleasure and lots of fun. Perfect Spring Sunny Day for this amazing celebration. Wonderful family! Blessings to them all. Stephanie Marques GM / Wedding Coordinator. Amazing wedding day at the Inn after a week of stormy weather… The sky cleared for the Bride and Groom just on time. Congratulations!!! Wishing them Happiness and long life together. It was a real pleasure planning this event for those two beautiful persons. Congratulations on your engagement and upcoming wedding. On your wedding day you need the right surroundings and perfect atmosphere to share this special occasion with your family and friends. 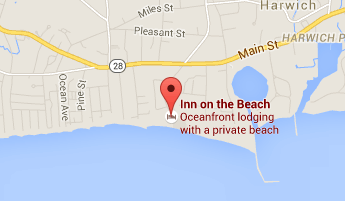 The Inn on the Beach is the perfect setting for your celebration. 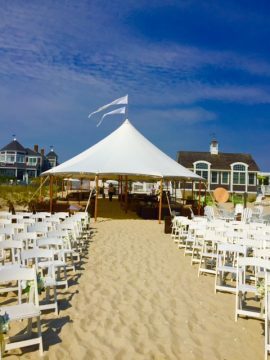 Located in the quaint little town of Harwich Port, Cape Cod, Massachusetts, The Inn on the Beach offers picturesque and breathtaking views of Nantucket Sound. The outdoor patios and deck can accommodate up to 120 of your guests and is the ideal setting for your cocktail reception and wedding ceremony. Choose from clambake to formal dinner. 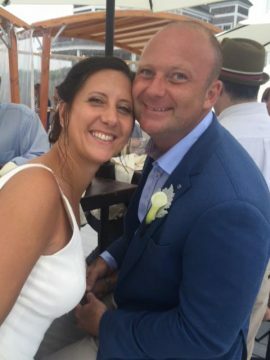 Our onsite coordinator will work with you from start to finish to ensure your wedding is everything you want it to be and more. To accommodate you and your guests, our Inn offers 18 guest rooms, complete with private patios. The premier units, the “beach-house”, have private pergola porches on the beach where you walk a few steps down from the porches to the warm sandy beach. In the name of good old hospitality we also provide a continental breakfast each morning for all guests of the inn. For information, contact us by email or call us at 508-432-2900.